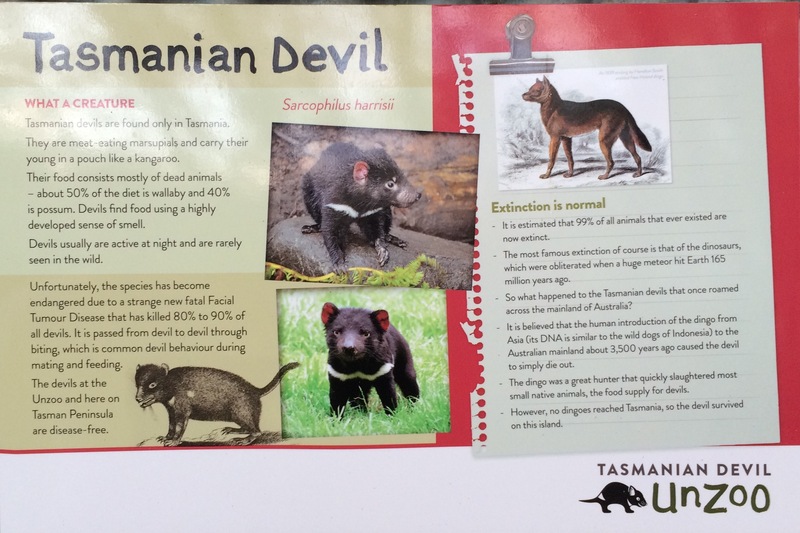 They are only found in Tasmania and are currently under threat. 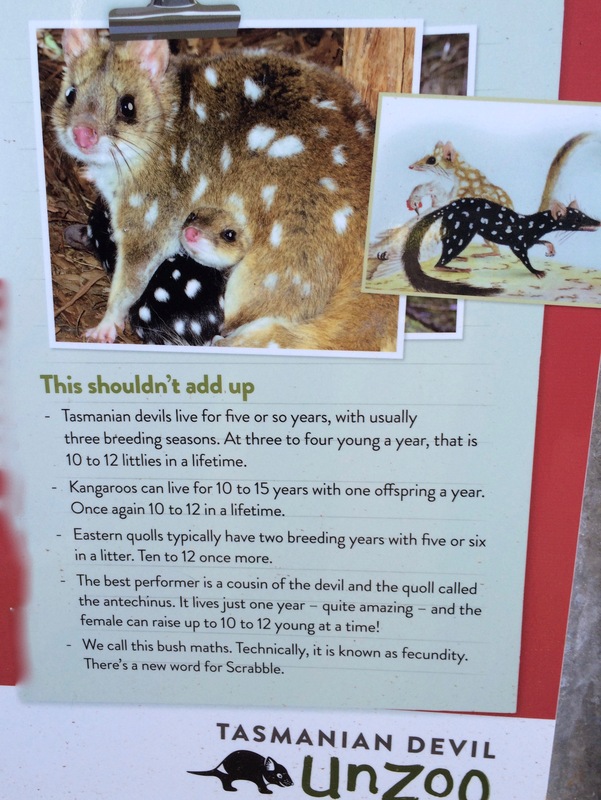 We saw these at UNZOO Conservation Park. 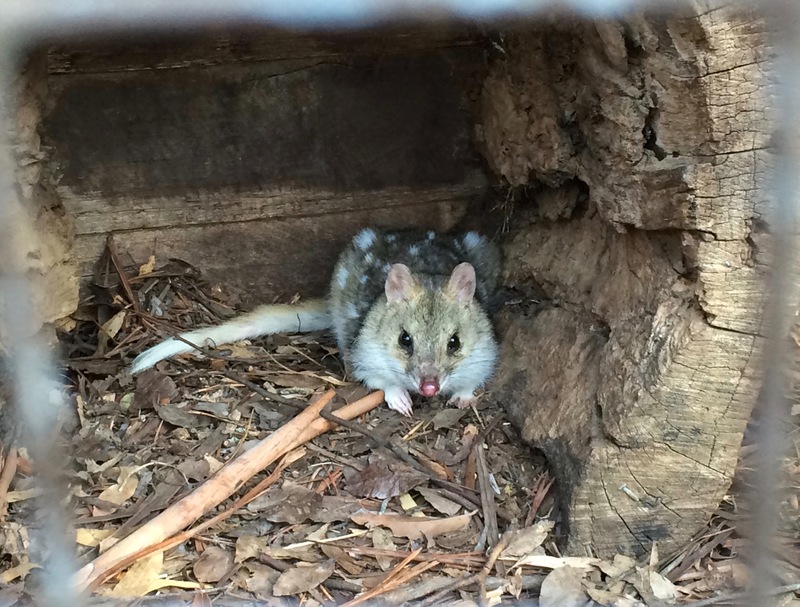 They are small nocturnal marsupials. 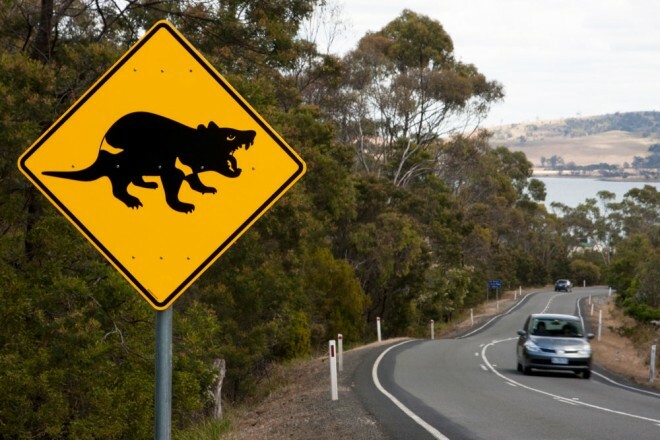 Although we’d seen road sign warnings, we hadn’t seen any in the wild. They look quite cute until you see their teeth and see them feeding. 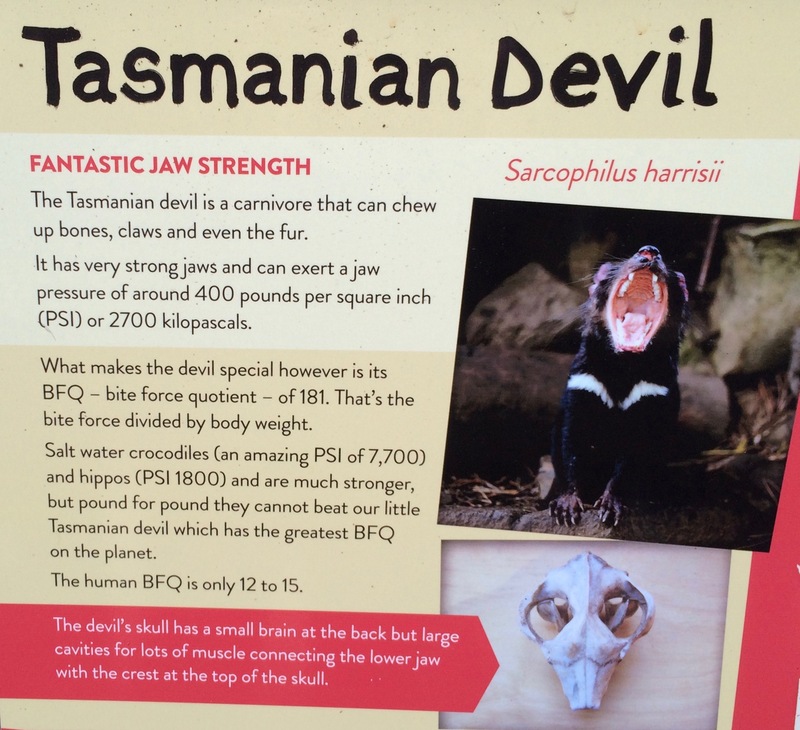 They are solitary, bad tempered animals and have incredible jaw strength. 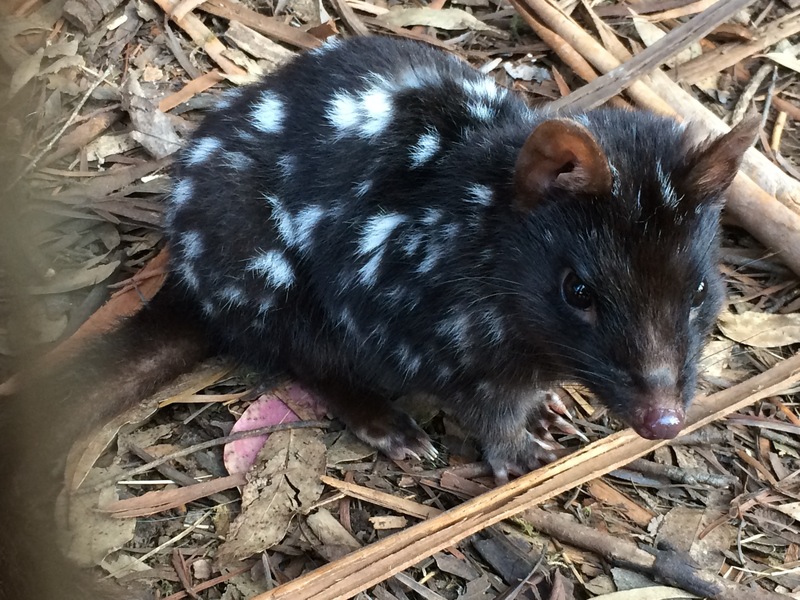 Eastern Quolls are smaller, adorable creatures. 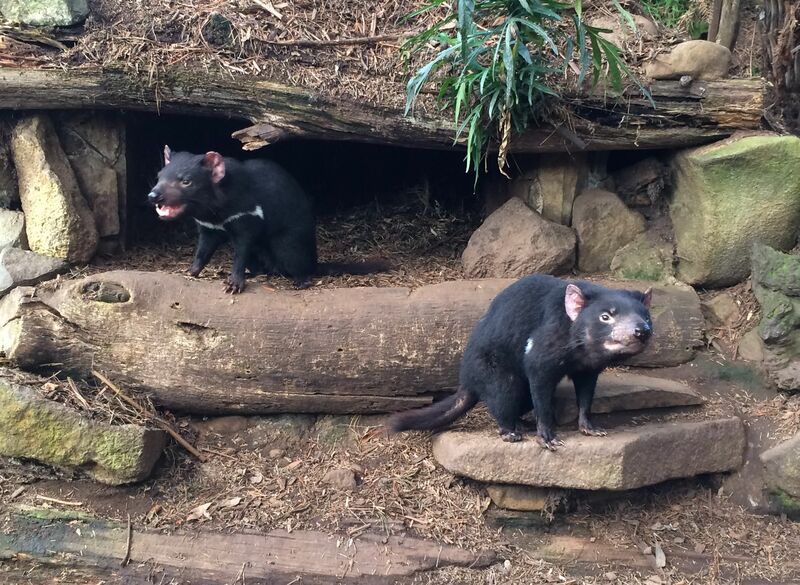 They are extinct on the mainland, now only found in Tasmania. Here is some info about the devils. And some intriguing bush maths. 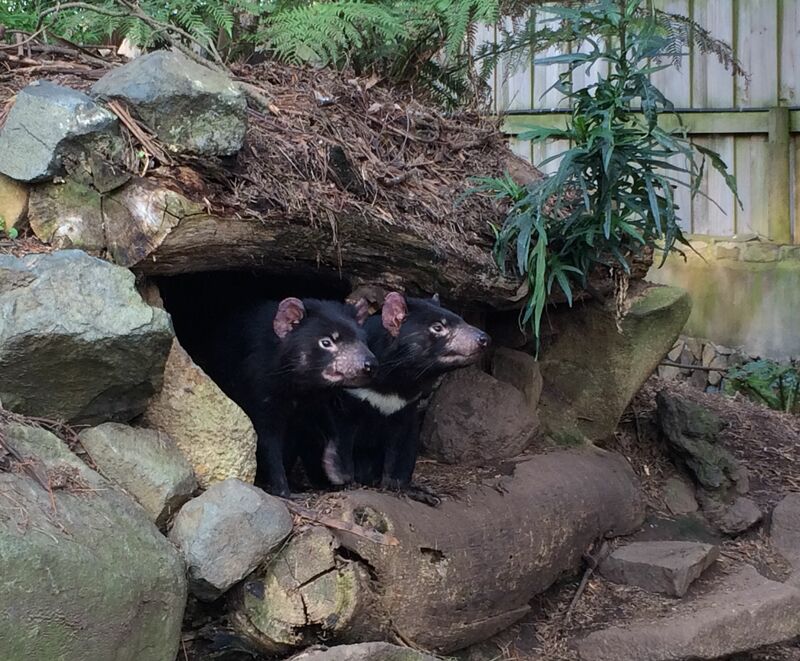 We saw some Tassie Devils years ago when our girls were small (when we last visited). I think we still have a toy one somewhere in the house – a souvenir! There was a fun cartoon too, back in the day. 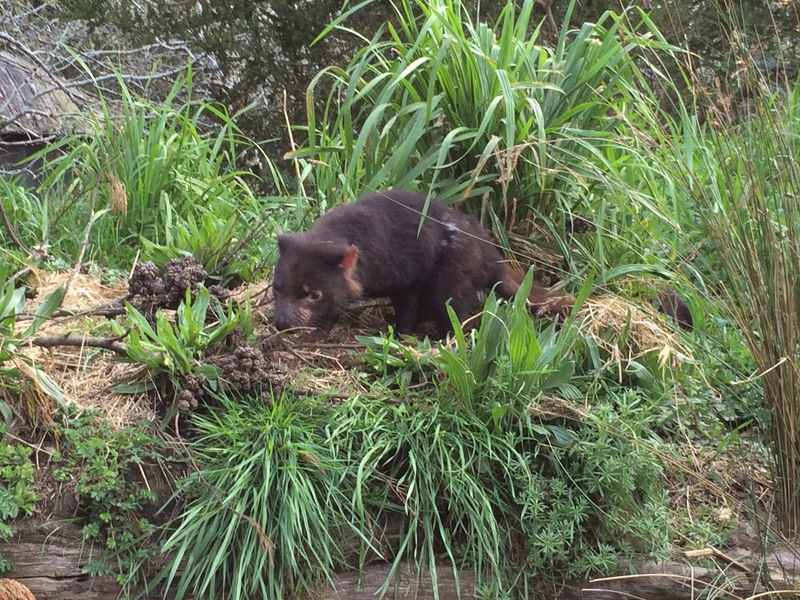 The quoll is definitely cute – the Tasmanian devil is scary! Sad that they are dying out though.